WHEN THE SUN GOES DOWN ON YOUR EVENT, LIGHTING CAN MAKE YOUR PARTY SHINE INTO THE NIGHT! 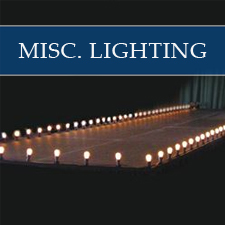 Regardless of the venue, whether it's a ballroom or one of our tents, we have the lighting to set the stage for your event. 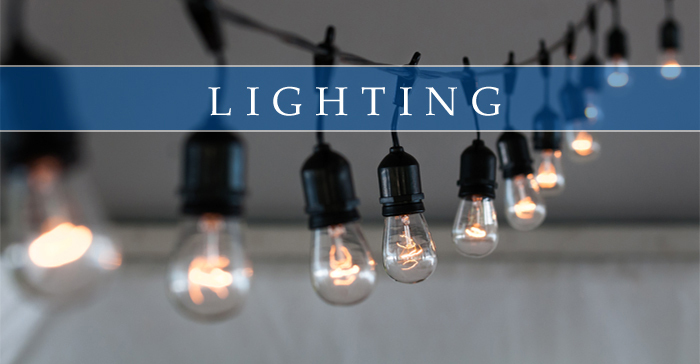 We can hang or clamp lights to tent tops and walls or the ground to give you a variety of effects. 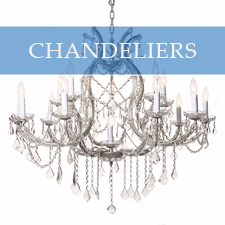 Whether you want dimming or colored lights to set the mood, or chandeliers to match a particular theme, All Season & Hank Parker's Party & Tent Rentals will work with you to illuminate your event. We have great wedding reception lighting rentals, including colored paper lanterns or copper string globe lights to match your theme. 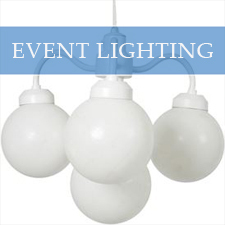 We also have perimeter lights and fixtures perfect for lighting dance floors, as well as extension cords and other accessories to keep your party up and running all night. Click on our lighting categories below and add to your cart or visit our showrooms today to check out our fixtures and accessories for yourself!